Chiclet is a grass fed minature Jersey from excellent A2/A2 bloodlines. A2 milk is a bit controversial because many feel it is a marketing ploy but we are convinced that this double protein in cow's milk does indeed contribute to inflammatory responses in some people. 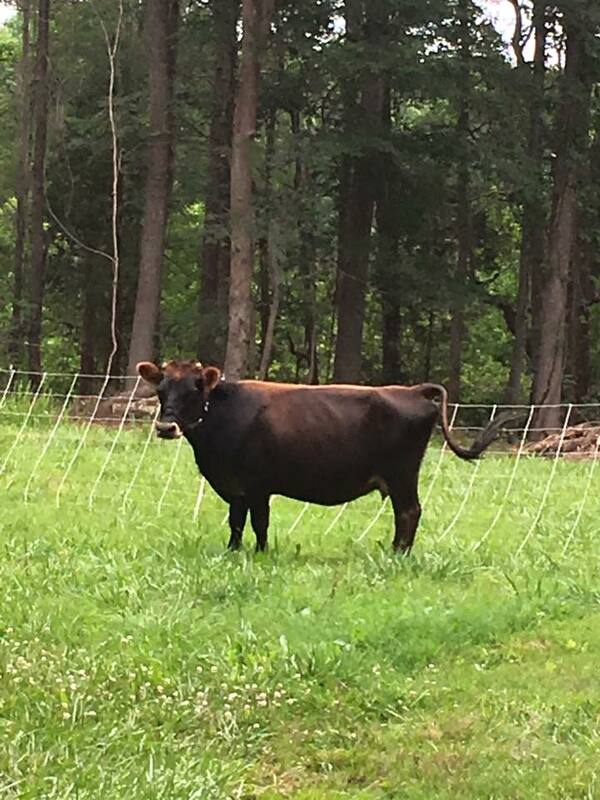 Over the years of our farming journey we have raised many different breed of cattle. Of all the cows we have raised Jerseys both standard and mini have been our tried and true breed. Chiclet is our Miniature Jersey standing at around 36". 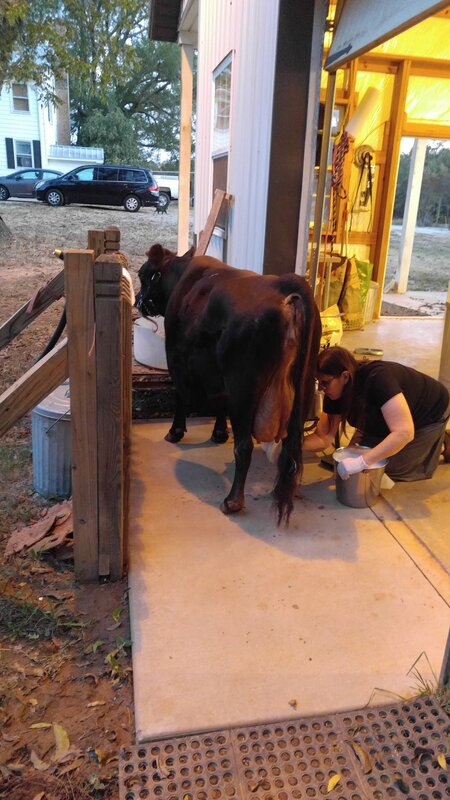 Note in one of the pictures below "yours truly" :-) as I am getting her udder cleaned and ready for milking. Almost two years ago now she gave us a beautiful bull calf. We call him Little Bull! She is dry at present. Her young bull son is growing into a fine cow. He is past the height requirement for a mini which happens sometimes. His Daddy Tommy Hawk was about 36" tall as well. So hopefully he will throw some smaller height cows in his future. We decided to be without our rich milk long enough so we purchased Summer Thyme a standard sized Jersey. Summer as we call her gives us rich A2/A2 grass fed milk! About 3.5-4 gallons a day! Our breeding plans are being firmed up for both of these lovely bovines but we desire to have milk for a long as we can.